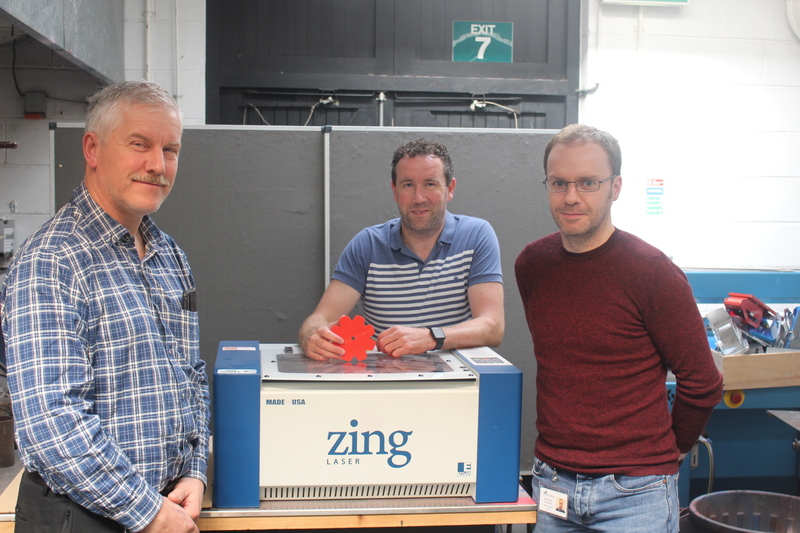 Amneal pharmaceutical continued their support and partnership with the engineering department of Cashel Community School by part financing the purchase of a laser cutter for the Engineering room. This will greatly enhance the quality of project work produced by students. The school is extremely grateful for this continued support. The photo shows Amneal engineers Rob O’ Grady and Fiachra O Leary with Engineering teacher Trevor Galvin with the aforementioned laser cutter.